The Foreword INDIES Book of the Year awards celebrate the best of the best in indie publishing. Each year, thousands of books are nominated, narrowed down to a select list of finalists by Foreword’s editorial staff, then winners are named in each genre by bookseller and librarian judges across the country. Out of over 2,000 nominations this year, two 3RP titles have been named finalists, and we couldn’t be more thrilled for our authors! 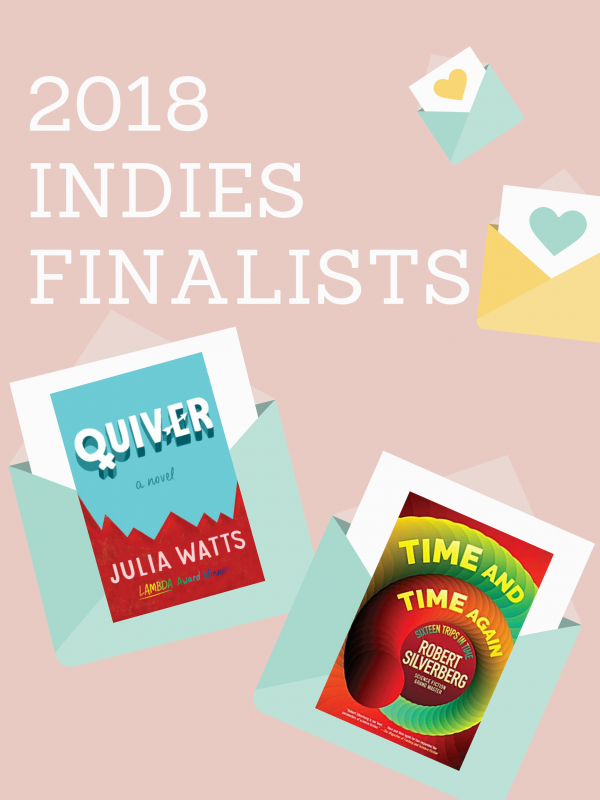 Julia Watts’ QUIVER is a 2018 finalist in the Young Adult category. Robert Silverberg’s TIME AND TIME AGAIN is a 2018 finalist in the Science Fiction category. Good luck to Julia and Robert, and congrats to all the nominees!